A Perfect Book for Bedtime Snuggles! 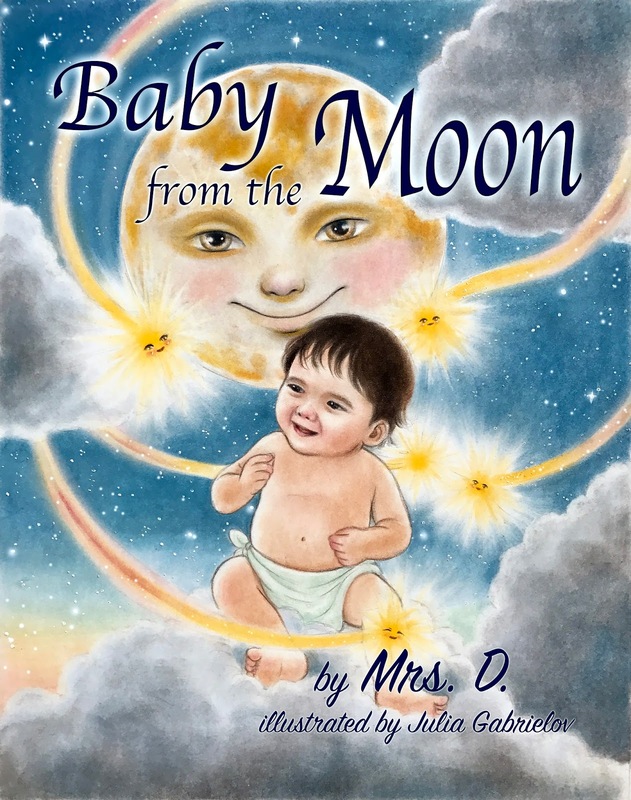 “Baby from the Moon” is a tale about a single wish – to find a mommy, whom Baby G saw many times in his dreams while living in the sky before his birth. 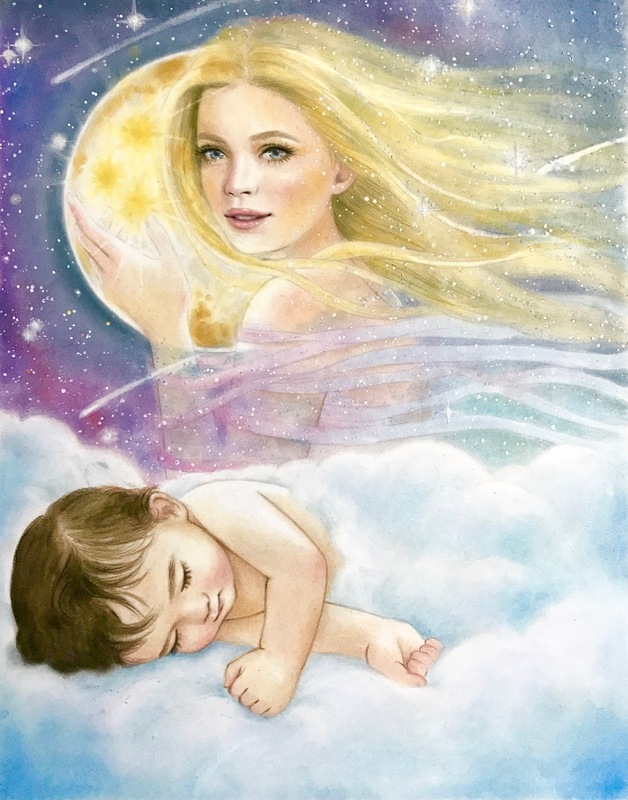 It is a sweet story of the baby boy and his birth that celebrates life, joy, and encouragement, while satisfying the curiosity of young children how they came into this world. A touching journey of the tiny boy, who wants nothing more then to meet his mommy, this is a gentle introduction and inspiration for every child with dreams. 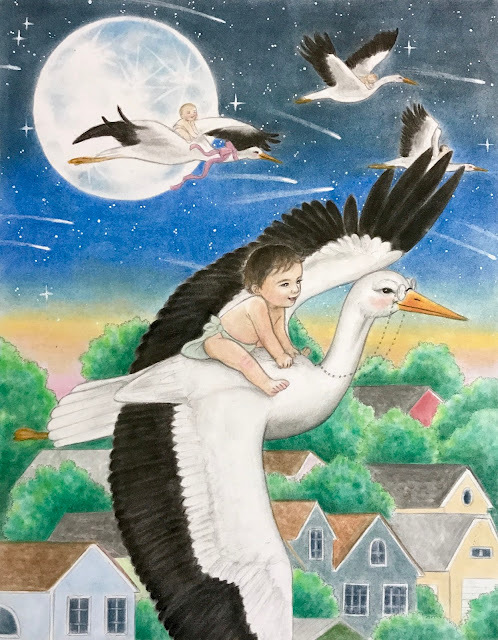 A beautiful story and amazing watercolor artwork will keep children's imaginations flying from page to page filled with loving twists and turns. Children might discover something amazing about their birth and themselves. 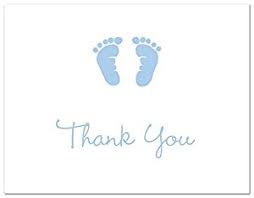 A fantastic gift for a new mommy and baby! The story is magical and the illustrations make the book enchanting and delightful to young readers. The pictures are vivid and colorful and they bring the story to life. The gentle twists and turns in the story make it exciting and children will be curious to know who will become Baby G's mommy. The story also gives a bit of information about pregnancy and childbirth. It is a charming story for bedtime story telling, and tutors and educators can use it for story telling sessions in classrooms. The author's imagination is dreamy and whimsical, and is tangible as the story progresses. The book will leave its readers with good feelings as it celebrates life.